Explore the relationship between coefficient of variation and sparsity. 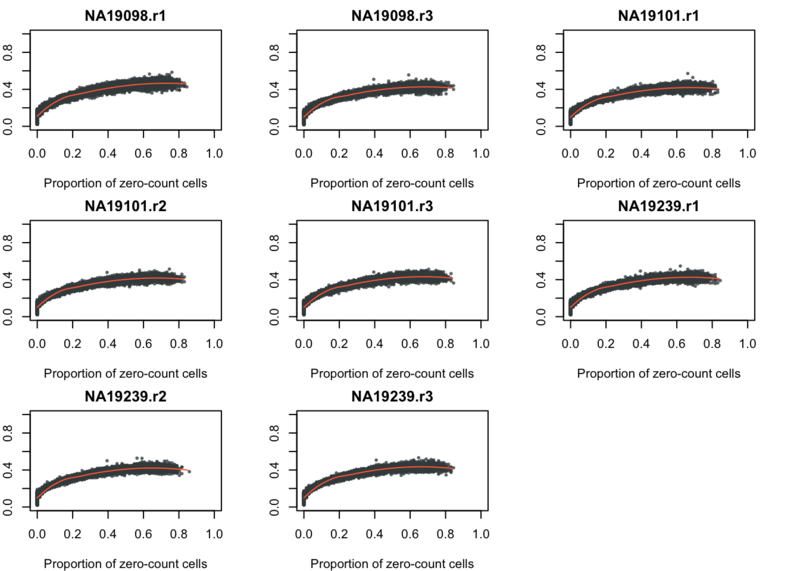 As expected, a large coefficient of variation is associated with a large number of zero-count cells in a gene, an observation that is consistent with an important feature of the count data where the coefficient of variation is large for genes with low expression levels. Input molecule counts that are filtered, transformed, and also processed to remove unwanted variation from batch effet. ERCC genes are also removed. Compute per batch coefficient of variation. Import molecule count file before normlization. 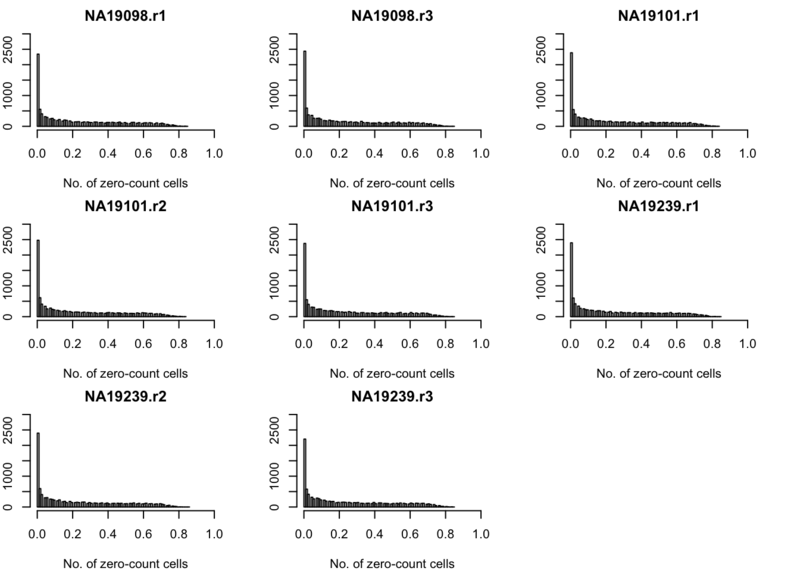 Compute the proportion of zero count cells in each gene. Frequency of zero-count cell proportions.